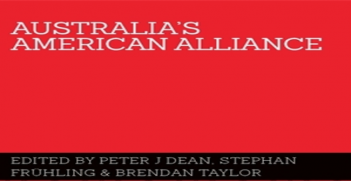 Even in the year of that Australia holds the presidency, few Australians are deeply familiar with the G20, how it operates and what it can achieve in coming years. 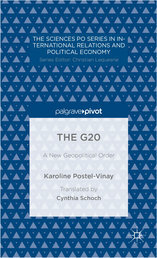 Karoline Postel-Vinay’s book helps readers better to understand the G20 in its broader political context and is therefore a good starting point for anyone who wants to venture into the detail of the G20 process. Postel-Vinay convincingly argues that in order to understand the G20 as a policy actor, it is essential to explore its origins. She highlights that the G20 is a ‘combination of chance and necessity’ and indeed, understanding this fundamental point gets us a long way in appreciating the major challenges that the G20 faces. ‘Necessity’ points to the fundamental role that the G20 has played in global economic governance over the last few years– it is indeed one of those things that would have to be invented (in some form) if it didn’t already exist. However, ‘chance’ also refers to the many ambiguities that are still characteristic of the G20 process even though it is in its 15th year as a finance ministers’ process and in its 6th year as a leaders’ process. Postel-Vinay also explains that the G20 is more than an extension of the G8 because it follows a ‘fundamentally different logic’. The G20 does not attempt to draw a ‘grand narrative’ of the world and it is also distinctively more limited in its scope of action compared to other international organisations. Its focus is on consultation and cooperation. An entire section of the book is devoted to the conundrum of the legitimacy of the G20. It is hard to argue that there is not an element of arbitrariness in the criterion of ‘systematic importance’ that was used to determine G20 membership. Postel-Vinay sketches important elements of the extensive debate about input versus output legitimacy of the G20. She concludes this section with the important observation that the concept of legitimacy is inherently political: ever closing this debate will be elusive. 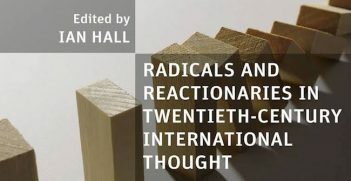 Finally, Postel-Vinay discusses the G20’s significance in overcoming the North-South divide and asymmetric nature of global economic governance in the post-war period. She remarks that the inclusion of emerging markets in steering forums such as the G20 does not necessarily imply a ‘zero-sum game’ to the detriment of advanced countries, nor a process of ‘role reversal’ where emerging countries will ultimately attain asymmetric privileges. She recommends a more diverse and inclusive interpretation of global economic governance and international rule-making. Given the obvious developments towards a more multi-centred and multi-level international political arena, a move (somewhat) in this direction seems the only feasible way forward indeed. The only significant shortcoming of the book is one that the author is clearly not responsible for. In the time between the editorial deadline and the release of the book, many significant developments have occurred in the G20. 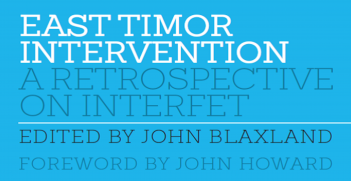 The book can only anticipate the current debate regarding the perception that the G20 is losing momentum and what can be done to address this. Relevant topics include the scope of issues that should be on the G20’s agendas and how the G20 can strengthen global economic governance in the context of continuous political tensions around the world (Ukraine may well end up dominating the Brisbane Summit, just as Syria did last year in Saint Petersburg). These questions will have to be answered convincingly in order for the G20 to address the global economic challenges of the 21st century. Karoline Postel-Vinay, The G20: A New Geopolitical World Order, Palgrave Pivot, November 2013, 128pp.